Medals are presented on behalf of the Governor General of Canada by participating educational institutions, along with a personalized certificate by the Governor General. Although there is no monetary component to the award, the Gold Medal is highly prestigious in that only one is awarded for more than 500 doctoral graduates each year. 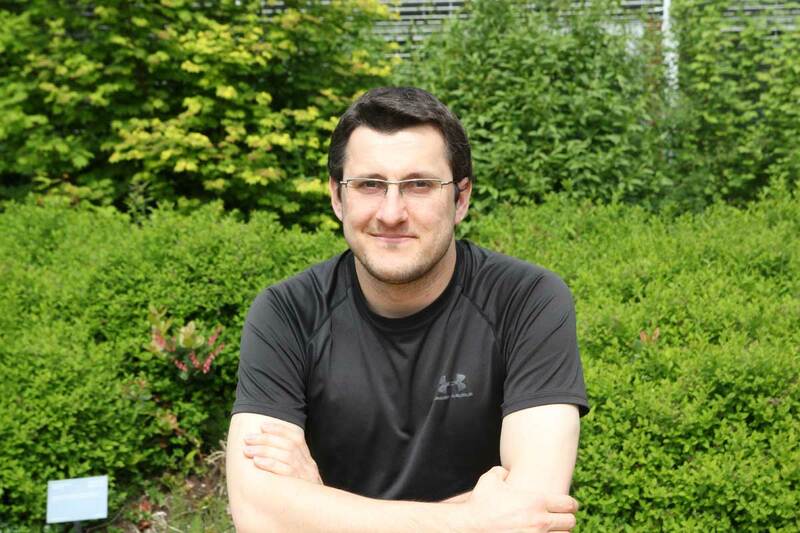 Stilianos received his PhD in Mathematics in November 2016 and is currently a postdoctoral fellow at the Biodiversity Research Centre. We sat down with him in May to find out a little bit about his doctoral research, his career path and what drew him to UBC. What defines me as a scientist is not the methods I use but the types of questions I ask. Stilianos’ research focuses on the role of microorganisms in biogeochemical cycling in the environment. He uses mathematical tools, surveys, and experiments to look past the cell wall and into the genetic content of microorganisms, in order to determine how these microorganisms impact the biochemistry of and respond to environmental changes within their communities. People try to design efficient microbial communities for industrial process such as biofuel production, but because there is intrinsic change, it is hard to maintain a stable set of species. By developing an understanding of the essence of these communities, scientists could better understand how to manipulate them and make them do what they want them to do. The results of this research could show that perhaps genes are not some mechanism that evolution invented for us as organisms to propagate and survive, but are in fact agents with their own agenda and role in the ecosystem. You range into all areas of science, do you have an allegiance to one? Now that you’re a postdoc, how do you envision your career going forward? How do you achieve a good work-life balance? “You just have to do what you feel in the moment and don’t feel pressured. If you’re captivated by your project then just work on it and don’t convince yourself that you need to somehow finish by 5 o’clock. Just do as you feel. There is no single optimal work-life balance, apart from at the individual level, you just have to figure it out for yourself and perhaps with your partner or family. If you had one thing to say to people that are new to UBC what would it be?